Our in-store Bakery is here to tempt you with fresh baked goods all day long. Our fresh Bakery not only satisfies your cravings, but also puts the finishing touches on your dinner table. We have pies, cakes, and pastries to complete any dessert. Sweet or savory—we have it all! For decades, our Bakery has been attracting customers with the aroma of freshly baked bread and rolls. We believe that the best foods are made with the purest of ingredients. The Market Basket bakers work every day to provide our customers with premier products for you and your family to enjoy. Our pastry case is sweet perfection. 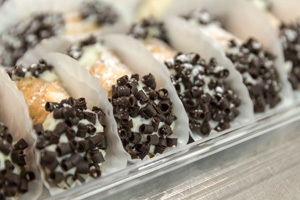 Indulge in our freshly filled cannoli, a decadent cupcake, or chocolate covered strawberries. Browse the entire Bakery department to see our incredible selection. No trip to our Bakery is complete without trying one of our signature doughnuts, which are made fresh in-store each morning. 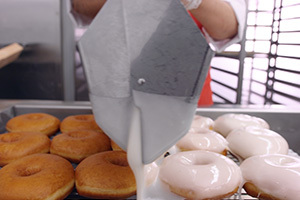 From filling to glazing to sprinkles on top—it’s all done right here at our Bakery to ensure the freshest doughnuts in town! Be sure to try our famous jelly and marshmallow filled doughnuts! Are you planning a special event? We have dessert covered! Our decorators are as creative as they are talented. 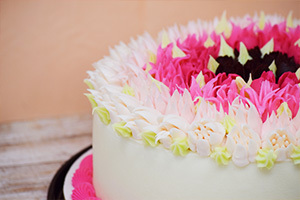 Our Bakery associates will help you choose the perfect design to customize your delicious cakes or dessert platters for your special day. 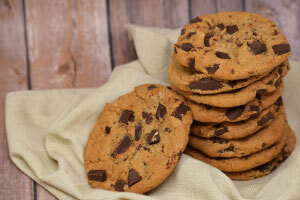 No matter what kind of cookie you're craving, Market Basket's Bakery is sure to please. Swing by your local Market Basket today to pick up your favorite cookies or try something new! Read more about our offerings.